Sonya Curry is a former Volleyball player at Virginia Tech University and currently the university's administrator popular as the wife of former NBA player Dell Curry and mother of NBA superstars Stephen Curry and Seth Curry. Sonya is married to Dell Curry since 1988. The couple both attended Virginia Tech in the 1980s where they first met. She has two sons named Stephen and Seth and a daughter named Sydel Curry. As of 2019, her net worth is estimated $6 million. As an administrator in university, Sonya reportedly earns over $100,000 per annum as her salary. Similarly, she is the founder of a Montessori school in Charlotte, North Carolina. Besides, Sonya won many state-level championships through which she made good earnings. Furthermore, she owns a luxurious mansion in Charlotte, North Carolina (NC), US, together with her husband. As per several sources, Sonya's current net worth is estimated to be around $6 million. In addition, Sonya Curry's husband, Dell has a net worth estimated to be around $8 million. 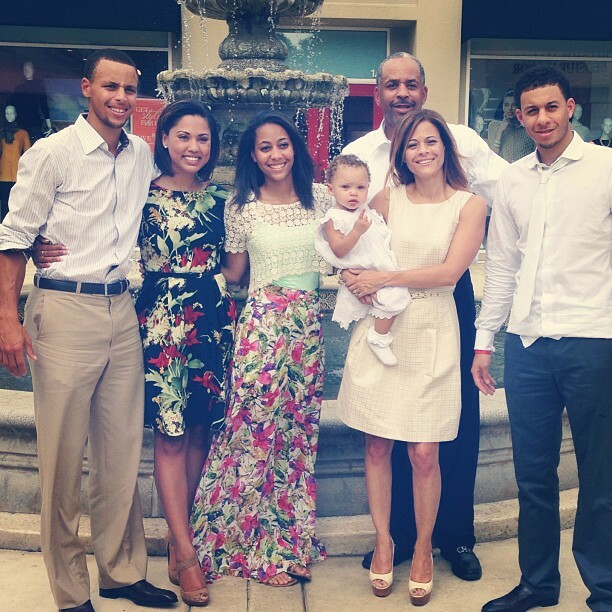 With a tremendous net worth, Sonya Curry is living a quality life together with her family. Her elder son, Stephen is one of the highest paid NBA players with the annual salary of around $35 million and has the net worth reported to be about $90 million. Her younger son Seth Curry will make annual earnings of about $2,795,000 this season. Sonya Curry is married to her husband Dell Curry for around 3 decades. Sonya and Dell tied the knot in 1988 after dating for a couple of years. The couple first met each other at Virginia Tech in the 1980s when she was playing team volleyball and leading in aces. After getting married, the two shifted to Charlotte, North Carolina. As of now, the couple has three children named Stephen, Seth, and Sydel. The couple welcomed their first son named Stephen Curry in 1988. Ther son, Stephen plays for the Golden State Warriors and is a leading figure in the NBA. He was named the 2015 League MVP and led the Warriors to the four NBA finals- winning the three. Their second son, Seth Curry was born in 1990. He is also the professional basketball player currently signed to Portland Trail Blazers. Their only daughter Sydel Curry was born in 1994. Currently, she plays the indoor college volleyball at the Elon University. She is married to NBA player Damion Lee who plays for the Warriors. Sonya and Dell Curry are grandparents to Riley Curry, Ryan Curry, and Canon Curry: born to Stephen Curry and his actress wife Ayesha Alexander Curry. Sonya Curry stands at the height of 5 ft. 3 inches and weighs around 54 kg. Sonya Curry began her career as a volleyball and basketball player at Radford High School where she went on to win the state championships. After graduation, Sonya Curry joined Virginia Tech College in 1984 and played volleyball for the college team where she was a three-letter winner. Moreover, Sonya Curry led the Hokies to a 69-70 record in her four-year career. In her junior year, Sonya Curry led the Hokies to a 23-14, and she recorded 57 champions the sixth-most in a season in Virginia Tech history. Similarly, Sonya Curry was also included in the All-Metro team. Apart from that, Sonya Curry along with her husband is the founder of Christian Montessori School at Lake Norman. Sonya Curry was born to African-American parents on 30th May 1966, in Radford, Virginia, United States. She is the daughter of Cleive Ester Adams and Candy Adams and has two siblings named India Adamas and Cleive Adams.